In November this year, two of our staff, Phil Bromley and Renee Lambert, will be travelling to Kenya to help out at an orphanage run by Mission in Action. Started in 2004 by a man from Lismore, the orphanage is currently looking after about 90 children, seeking to provide a roof over their heads, clothing, education, love and a chance at a brighter future. 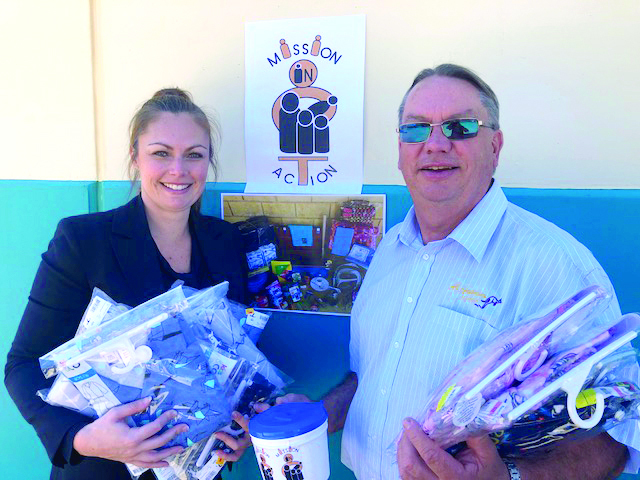 Renee and Phil do not need any funds to help them travel to Kenya, but have been busy collecting donations towards school packs for children starting high school next year (approximately $450 each pack), and general living expenses for all the children. We are very proud of Renee and Phil, and Cross Country Tours will also make a donation as a company.